And no, we don’t mean the whole data exploitation scandal. 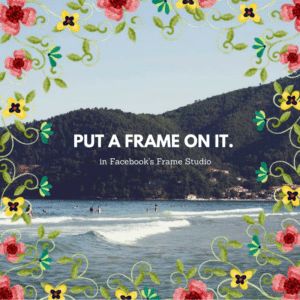 We’re talking about Facebook frames! 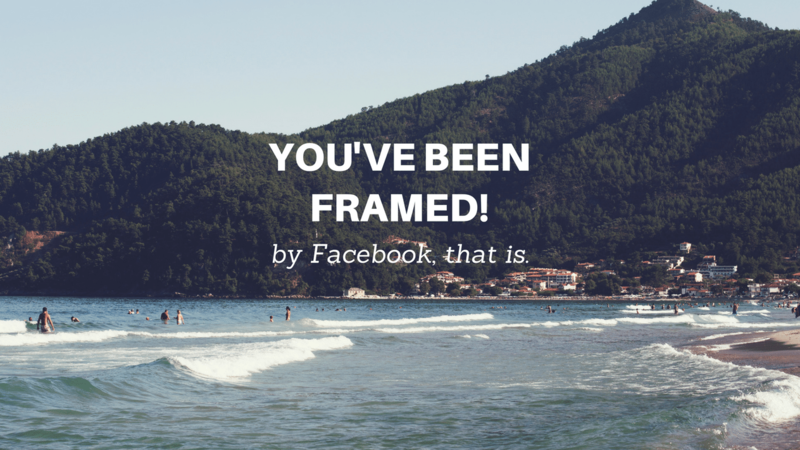 This is a little post on how to use Facebook frames to market your brand on social media. Here’s the dealio. Facebook created these nifty little customizable frames so you can give your profile pic a little pizazz! You can also add a frame while shooting photos or video with Facebook’s camera. You’ve heard of Snapchat… with all the hype around these augmented reality (AR), cartoon-like and colorful features, people are into it. And you should be too! It’s another way to show your (or your ministry’s) fun side and engage your audience! We’ve even created a free, fun, Spring-themed frame for you HERE – enjoy!! Kind of like a hashtag, you can create a frame for people to use over their profile photos or while capturing snapshots at an upcoming event, spreading awareness and creating buzz! You could also use them to promote a sermon series or other campaigns to spark curiosity and increase exposure. 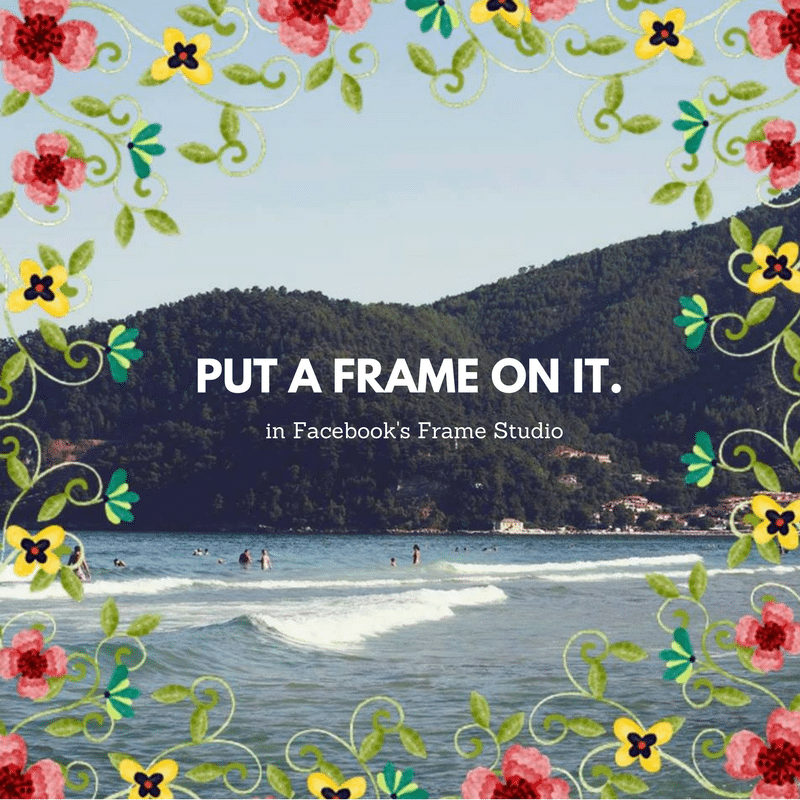 Simply upload your custom frame to the frame studio as a PNG file to the frame studio a day or two before an event to ensure it’s approved in time. Then, when people arrive, simply let them know how to add the frame to pictures using the Facebook camera. You’ll be surprised how quick people catch on! Anyone on Facebook, but mostly middle-aged adults. If you’ve got an event coming up that appeals to folks in their mid 30’s to early 50’s, create a Facebook frame to go along with the theme! Then ask the attendees to use Facebook’s camera during the event to utilize the frame. In the same way you’d use a hashtag for a younger audience, use a frame for the older crowd! Alternatively, if you’re running a campaign for outreach in your community, create a custom frame (perhaps the frame even includes a hashtag), and ask supporters to add the frame to their profile photo. This is so simple and yet, so effective! Facebook still rules the roost when it comes to vast social media membership, and the best way to create waves on Facebook is to utilize your membership base. Get on their level, and embrace the way they communicate! People want to support your mission, and frames are just one more way to engage your audience and spread your message! For more on Facebook frames and AR, visit Facebook Camera Effects. We also have a few other blogs related to this topic that you might like – Take Great Photos With Your Phone and Building An Audience From The Ground-Up! We’d love to talk more about crafting your brand and message so hit us up anytime at the Contact tab above!